Fresh from yet another huge European tour, The Cat Empire release Stolen Diamonds, the next exciting installment in the monthly series of tracks being revealed on the 1st of each month. Written by co-lead vocalist and trumpet maestro Harry James Angus, Stolen Diamonds is a rhythm and horn driven, funk style big band thriller with a hook that just won’t stop. A super fresh take on The Cat Empire recipe for perfect roots pop, the new song is sure to become a festival favourite with it’s irresistible groove and compelling lead vocal line. The Cat Empire have just returned from a July summer run in Europe which saw them play to over a quarter of a million people. The band hit up major festivals across Spain, Germany, Austria, Czech Republic and Switzerland, and took in a quick side show in France en route to Spain. It is in that country in particular that The Cat Empire have more recently become a huge sensation where both 2013 and 2016 albums received critical acclaim, radio play, and mass hysteria with Spanish fans desperate to get their hands on tickets to see the band play live. With a well proven and formidable live reputation at home, September sees The Cat Empire launch back into another huge Australia tour which has already seen shows selling out way in advance, including the show in Melbourne, Hobart, Castlemaine and an amazing 3 shows (so far) in Brisbane! Performances scheduled for Sydney are also about to have full house signs hoisted, and all other remaining shows across Australia look set to follow shortly. The band will again return to Europe this November to play over 22 headline shows across Europe in prestigious venues such as two sold out nights at the Roundhouse in London, two nights at Paradiso in Amsterdam, 2 nights at Razzamatazz in Barcelona, and one night stays in Turkey, Romania, Austria, Switzerland, Belgium, and multiple shows in cities across Germany. 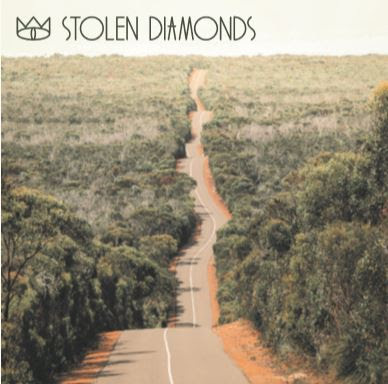 The cover image for Stolen Diamonds features an evocative image from talented Brisbane based adventure, travel & lifestyle photographer Jason Charles Hill. Another artist chosen by the band to depict that quintessential Australian aesthetic, Hill’s unique perspective and vision have earned him many opportunities to work on countless campaigns internationally through his photography – establishing himself as a global presence and influence. KIKAGAKU MOYO announce new album ‘Masana Temples’ for Oct 5th release on Gurugurugu Brain. Hear psychedelic opus ‘Gatherings’. Scala headline show.